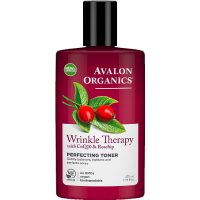 Avalon Organics Wrinkle Therapy Cleansing Milk with CoQ10 & Rosehip purifies, hydrates and supports cellular renewal. 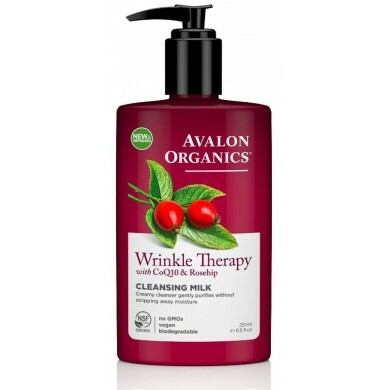 This soap-free botanical cleanser with White Tea and Sunflower gently lifts away grime without drying or stripping. To hydrate and encourage skin renewal, CoQ10 and essential oils nourish and stimulate cellular turnover. 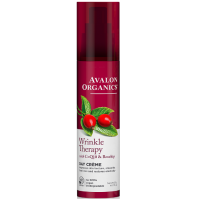 Complexion appears smooth, firm, healthy and soft. How to use: Add a small amount of cleanser to dampened palm and gently massage over face and neck. Rinse clean. Natura Siberica Moisturizing Cleansing Milk has been specially designed for everyday use for dry and..
Natura Siberica Delicate Cleansing Fluid is based on Rhodiola Rosea and Aralia Mandshurica. Tha..